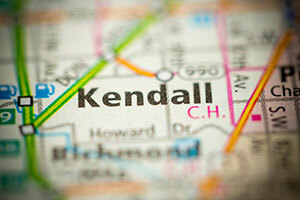 Contact Kendall Accident Lawyers Gerson & Schwartz, P.A. Have you been injured in a crime incident in Kendall? You should know that you are not alone. Crime happens more than you might think. Maybe this is your first time being hurt as the result of a crime in Kendal but here at the Gerson & Schwartz, our Kendall crime victim lawyers have helped injured crime victims for more than 40 years. These victims often ask if they are entitled to compensation for the injuries, how much is their case worth, and how to recover financially as soon as possible. We answer these questions to the best of our ability through our free consultations at (305) 371-6000 or at our offices at 1980 Coral Way in Miami. Just call us, and we will have a talk in a way that is most convenient for you. We will listen to your story carefully and will advise you on your options. If there is no potential option for compensation we will let you know up front and at no cost. If you choose us to represent you, then you we won't ask you for fees unless and until we recover compensation for you. In Florida, there are three roads to recovery available to any crime victim. There is no best or worst path, so make sure you talk to your Miami personal injury lawyer to determine properly what's the best way for you to proceed. The most obvious one leads to the criminal offender. Everyone must pay for their deeds, so must the offender. You can claim damages recovery from him or her. However, it is hard to get compensation from a criminal because they often don't have the money to pay. On top of that criminal procedures are costly and usually take a long time to conclude. That's why you may want to opt for some other options. One of avenues for possible compensation leads to a possibly liable third person or corporation. If the accident occurred at commercial premises such as convenience stores, gas stations, banks, nightclubs, and others, they may be liable. Commercial owners are obliged to reasonably provide security to their guests under the Florida premises liability laws. If they fail in doing so due to negligence, and that allows the offender to attack and injuries or death results, then that owner may be are legally responsible for the consequences. In a situation when the offender is not likely to pay, the premises liability laws provide a good potential solution for recovery of full and fair compensation. The final opportunity will take you to the Florida Bureau for Victim Compensation. They want to check if you have all the necessary documents that prove your harms and losses. If you do, they may compensate you for some of your economic losses such as lost wages and medical bills. We are here to help good people who have suffered injuries or survivors of murder victims from criminal incidents to seek justice and compensation they deserve. Call us now at (305) 371-6000 for your confidential and free consultation. We don't ask for fees unless we recover. Call us now – no obligation and at no risk. Just get the answers you need and don’t be a silent victim for anyone.